Do You want to Learn, Portrait, Beauty, and Outdoor Retouching? You are in the right place. I am Marcin Mikus, Photo Retoucher and Photoshop intructor. For Years I have been exploring photoshop to finally settle in retouching area. I know how difficult is to find the right course where You can learn retouching for dfferent kind of Photography – that’s why i came with this course where i cover different retouching with different images. In this course You will get over 40 lessons and 6 hours of content. What’s best – You will also get high quality raw images – so You can follow me and my retouching process, as well as practice retouching on Your own. And of course – great actions and other ressources which allow You to speed up Your workflow! Don’t worry if You are beginner cuz we are going to cover wholoe process from very beginning till the final touch ups. I will show You how to do raw processing using camera raw as well as capture one. And also, if You are a little bit more advanced user, I believe You can find a lot of new informations on processing and retouching Your Images and color grading techniques. The course is separated from different sections, leading You from basic Portrait Retouching to Beauty and Outdoor Image retouching. 1. We will discover great software as capture one, I will show You pros and cons of this software of my choice for Raw Processing. Don’t worry if You don’t want to use capture one – I am also showing how to do Raw processing using Adobe Camera Raw. 2. We will be analysing each image before we start our retouching, so You will know what need to be done on specyfic image whether it’s portrait, beauty or outdoor image. After that we will start retouching process – where I will show You the best tools for skin and hair retouching without any confusing techniques that might lead You in the worng directions. 3. One of most important retouching technique is dodge & burn. In this course we will truly master this technique! You will see how You should dodge & burn different images. How much need to be done on specyfic image – to not overdo or underdo Your retouch! I am not presenting You many different ways, I am choosing one – most effective to make Your retouch easy and comfortable. 4. Through the lessons I will teach You different methods working with lights and shadows so You can know what works best for any image! We will compare and see reall examples of applying contrasts to the Images. 5. Every single retouch will be finished up with final color corrections. I will show You most effective adjustment layers for color grading. 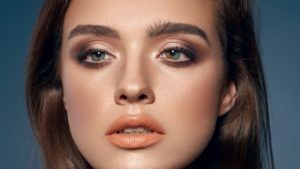 How to work with specyfic color as well how to select specyfic area for Your color corrections – which is going to give You most satisfying results! And of course, You will get High Quality Raw Images, Actions, and other resources, so Your retouch will be fast and easy as never! And I will see You – in the first lesson. Redux JS – Learn to use Redux JS with your React JS apps!